Well, I know I’m ready to party because I finally finished the final Part 3 of my Foot to Mouth story. Includes plenty of drama thrown in for good measure, with lots of lessons learned. This unique project will have you no longer fretting over forgetting to wash out a paint brush or two. Isn’t this cool? 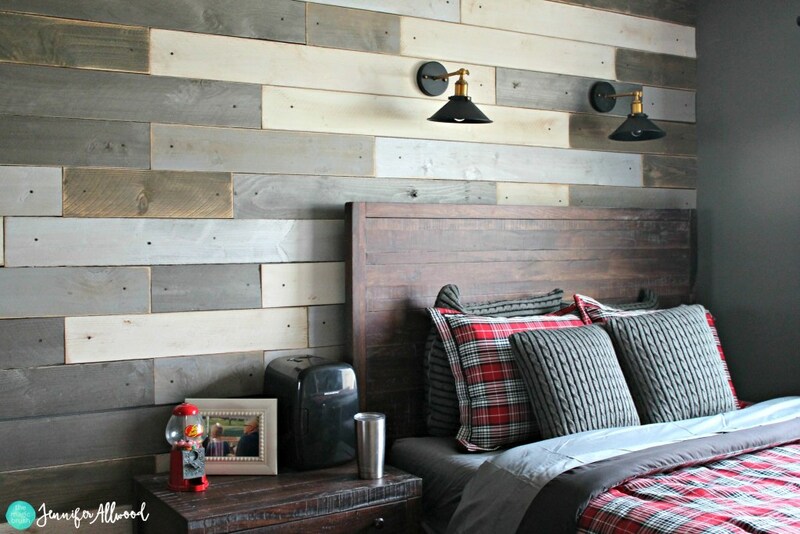 Nothing warms up a room quite like a wood planked wall. And this tutorial will show you everything you need to know to make one yourself. Love the grey tones! 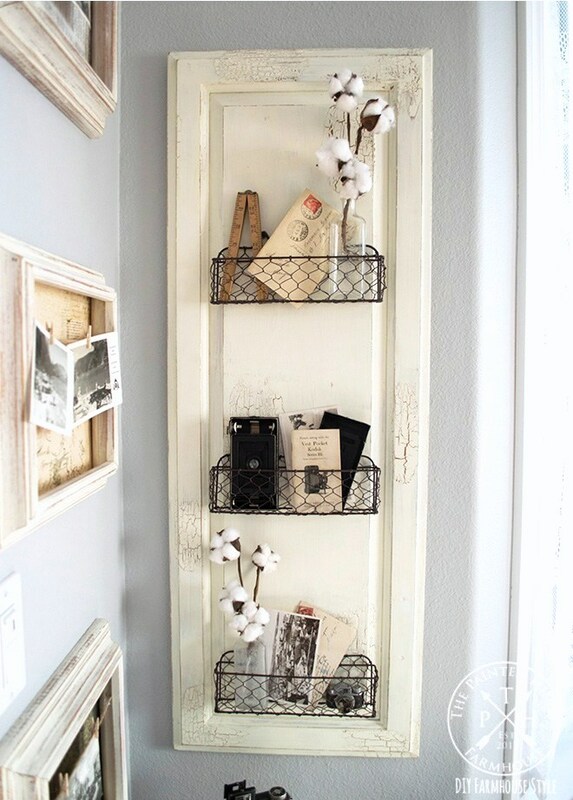 A simple door becomes such a handy and beautiful wall shelf! Loving the crackle detail on the door. 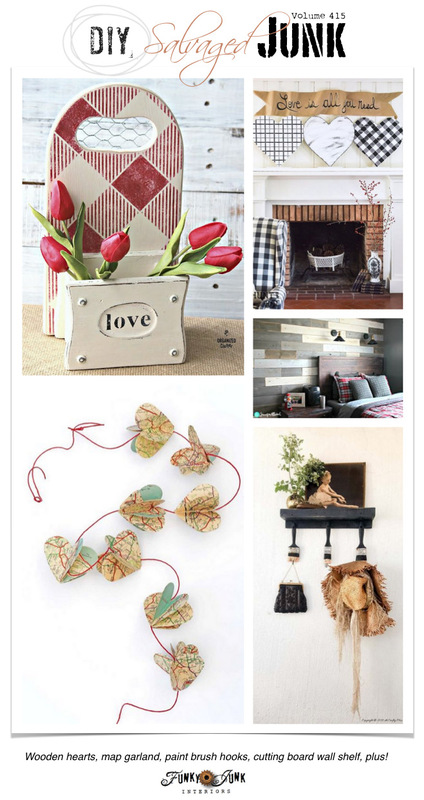 These three beautiful coordinating DIY wooden hearts certainly have my heart! 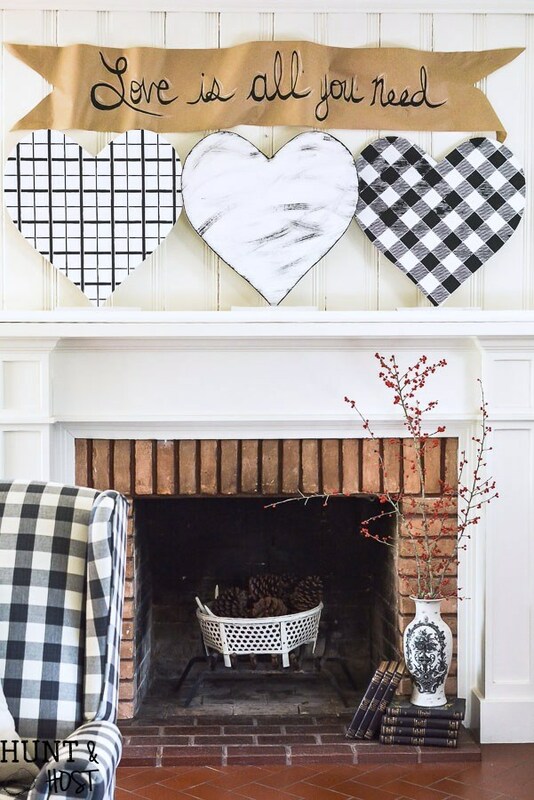 Love the mix of plaid and buffalo check in black and white. Stunning! Full stencil details are inside this post. I did NOT see the cutting board and coaster container when I first saw this project. 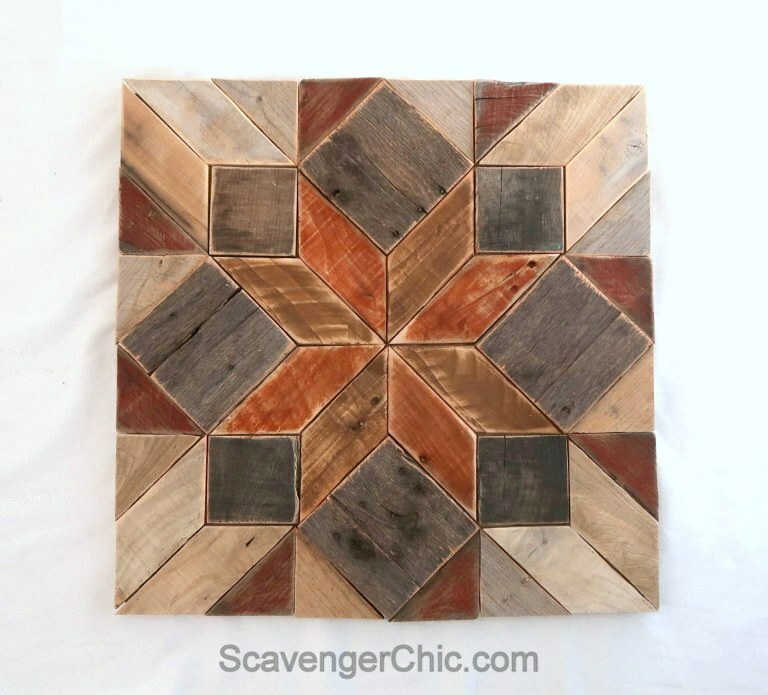 Carlene once again recreates an even better wheel, marrying a Valentine’s red and cream buffalo check pattern. Soooo. Pretty! Stencil info is included in this post link. Not many projects have me appreciating a neat project AND a thrilling plane ride somewhere, but this one sure does! Very cool combo. Oh my. I think it’s time I replace my broken miter saw. Joan really breaks this tutorial down to do-able chunks! That means I have a chance… isn’t this a beauty? I read part three of your series, Donna and am so sorry you had to go through all that pain. I know what you speak of as I’ve had numerous dental issues over the past four years–not fun. I’m so glad you’re on the mend and looking at the bright side of everything 🙂 Thanks for the party! Good to hear your foot is on the mend and you’re on your bike again. 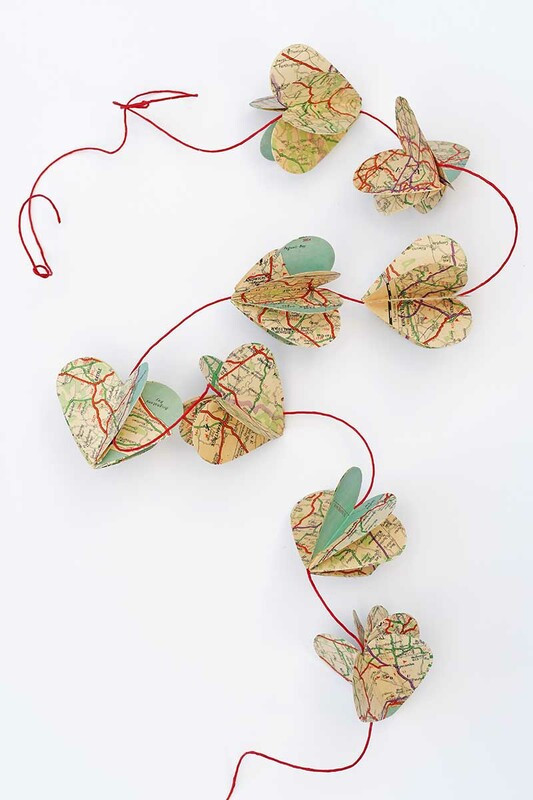 Thank you for featuring my map garland. So glad to read you are coming back into a more active life…after the mouth and foot ordeals. Healing takes time, of course we do not have the patience for it. I am currently head nurse for my husband healing from major back surgery and it can be frustrating for the patient and the nurse. Time will heal all. Right there. Words of wisdom! 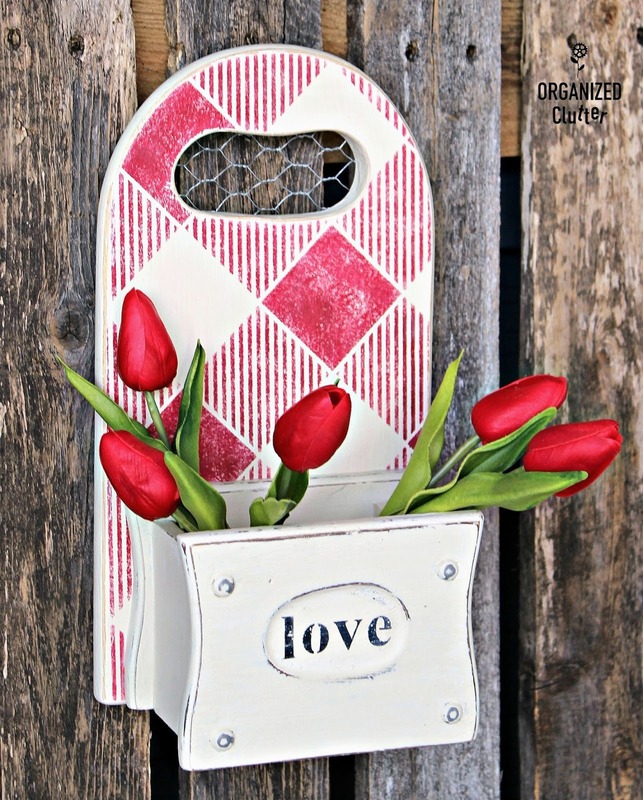 Thanks for hosting, Donna, and thanks for featuring my Valentines Day upcycle project! 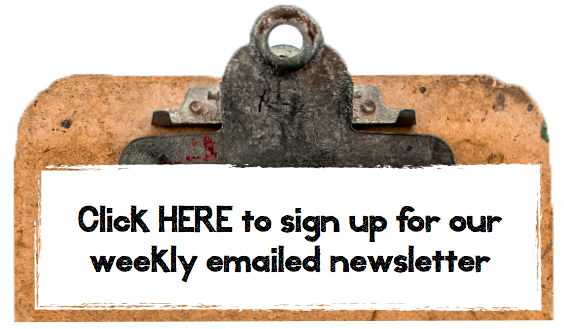 A big thank you for the feature on my hearts! I love the stencils! Wishing you all the healing you need and more! Have a great week. I love, love, love the shelf with the paint brushes with hooks on them. Lovely idea. I also love the plank wall. Fabulous. 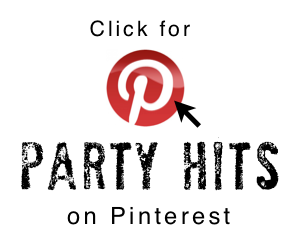 Thank you for hosting the party each week, even when you’re having such a torrid time Donna. 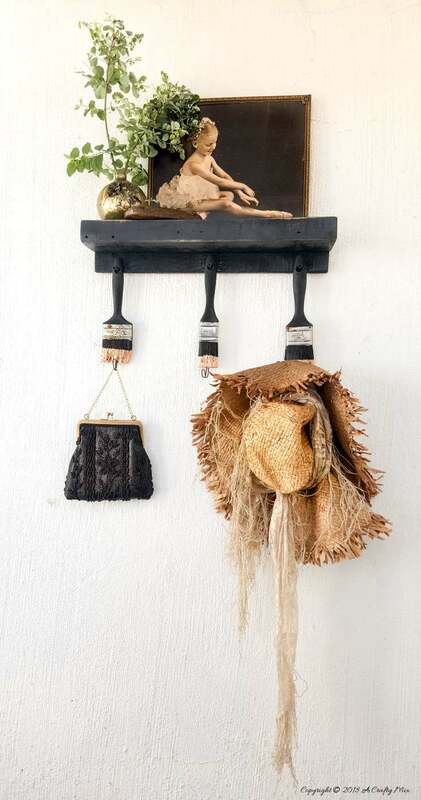 And thanks a mil for picking our paint brush hooks as one of your gorgeous features this week.